Now what, I say, what's the big idea here? 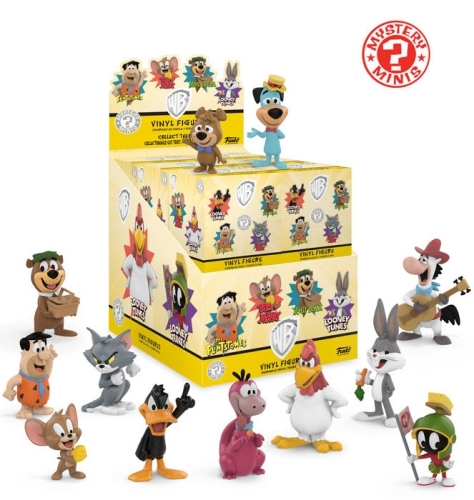 Foghorn, it's the 2018 Funko Warner Bros Classic Cartoons Mystery Minis debut! 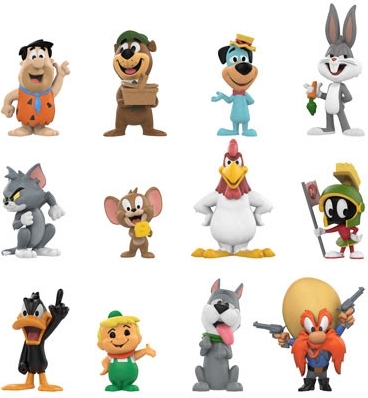 Giving kids and the young at heart numerous characters to collect, Funko Warner Bros Classic Cartoons Mystery Minis includes Looney Tunes icons such as Bugs Bunny, Daffy Duck, Foghorn Leghorn and Marvin the Martian. Also among the fun Warner Brothers lineup is Boo Boo, Yogi Bear, Fred Flintstone and his pet dinosaur, Dino. Per usual, all figures are issued in the standard blind-box format to help keep the contents a surprise until unwrapped. However, the chase for your favorites might be slightly more challenging since several retail outlets each carry at least three exclusive options. 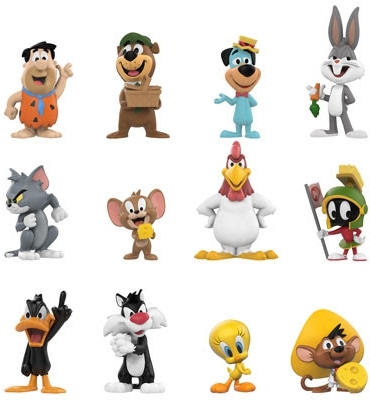 Speedy Gonzalez, Sylvester and Tweety Bird are issued through Target, while Yosemite Sam and The Jetsons characters—Astro and Elroy—can be found at Toys R Us locations. Pepe Le Pew, Road Runner and Wile E. Coyote are exclusive to Walgreens. Order Funko Warner Bros Mystery Minis on Entertainment Earth. Based on the details from Funko, every format has 12 total figures with three being exclusive to each release. 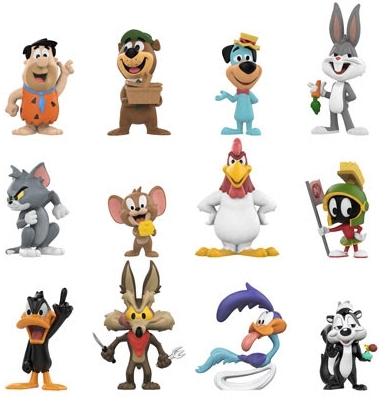 Including known exclusives, that means there are at least 21 Funko Warner Bros Classic Cartoons Mystery Minis figures to discover. The final three figures on the last row in each lineup are the exclusives. View more Funko Warner Brothers options with our related Pop! guides.